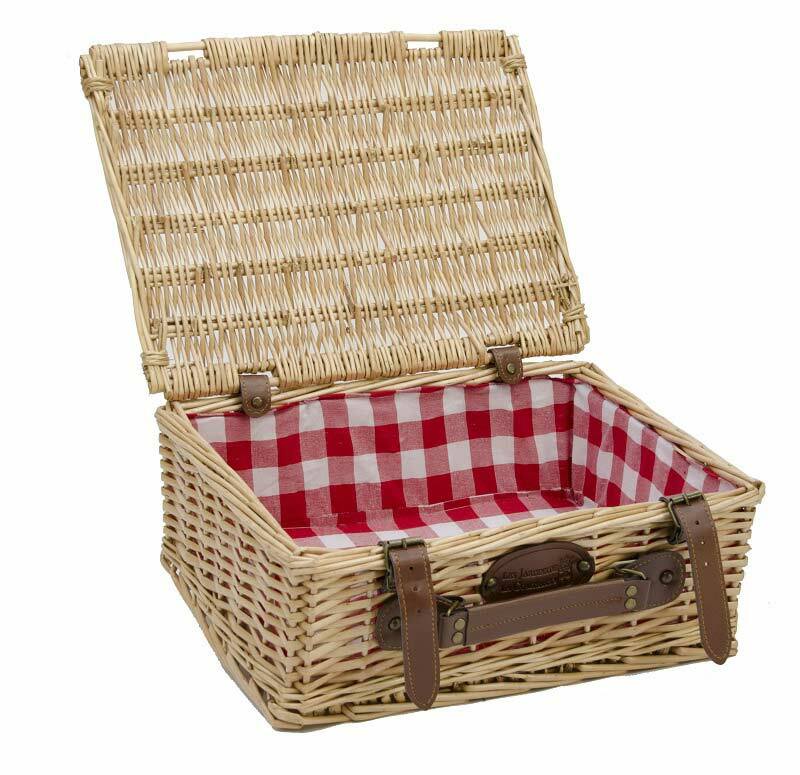 This pretty wicker case with red and white fabric will be your companion in all your gourmet ventures. 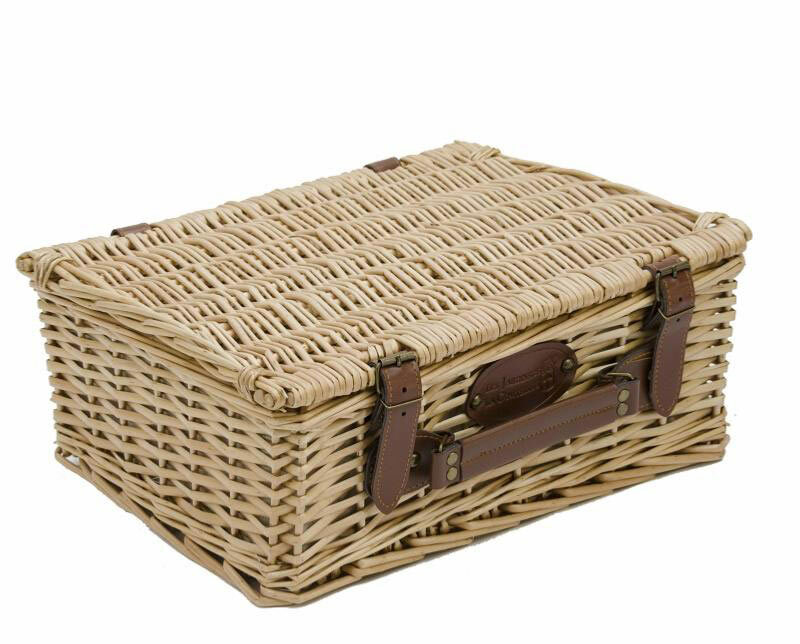 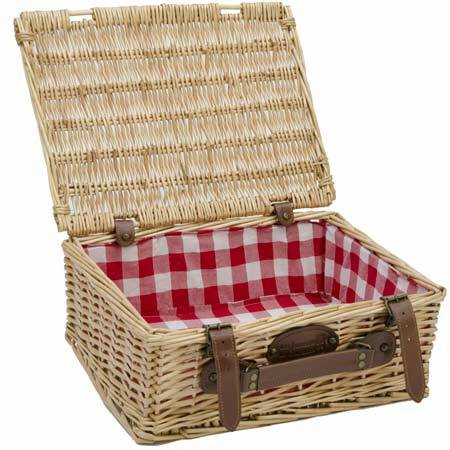 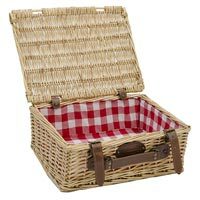 Its high capacity allows you to use it as a complement to a picnic hamper. 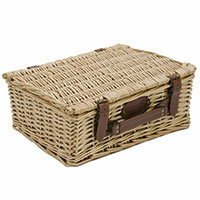 This pretty hamper will also be at home inside, as it can serve as a storage hamper or decorative basket.